If you are a teacher or a student teacher, you know how hectic some days can be! Some days you just don’t have time to pack a lunch every morning. Some days you have to eat at weird times or eat and work at the same time. Here are some nutritious and affordable teacher lunch ideas to keep you going. The key here is realizing this ahead of time, not when you are already 10 minutes late! 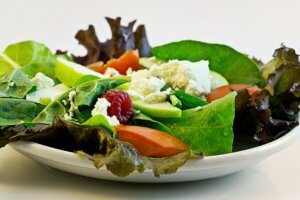 If you are a salad person, make a practice of bringing salad stuff to work at the beginning of each week. This can be whatever you like beyond the basic salad greens. It doesn’t have to be fancy, but do include some nuts and some protein (like beans, cheese, or meat) to make it more filling. That way, you don’t have to remember to bring a lunch every day and you know you’re eating nutritiously. This also applies if you get to work at 7am, but don’t get to eat until 2pm! The answer here is (1) protein and (2) healthy snacks. Make sure your lunch is filling (that’s where the protein comes in!) so it will hold you over as long as possible. Then, bring a supply of snacks for the day or keep some in your desk. Think fruit (fresh or dried), trail mix, cheese, or granola bars. Avoid empty calories like chips or sweets; they won’t provide the nutrients you need to be at your best. Make sure to stay hydrated throughout the day, too, by carrying a water bottle with you if possible.